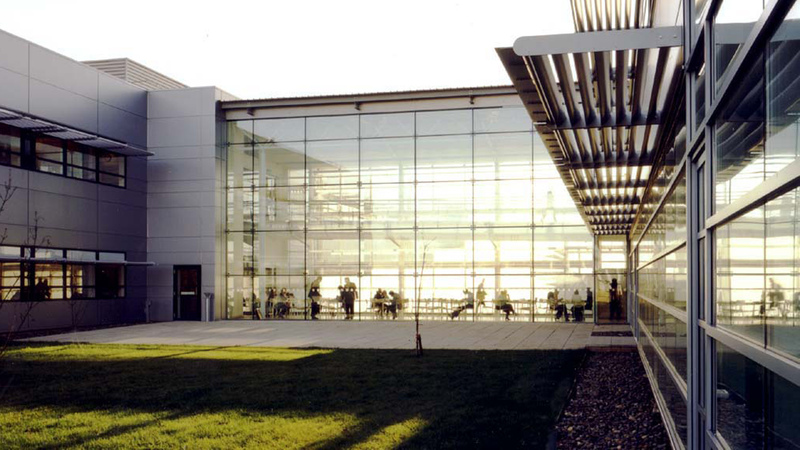 The project was initially the speculative development of a new research centre within a landscaped setting at Granta Park, providing modular antibody technology laboratories with associated offices and facilities for 200 staff. 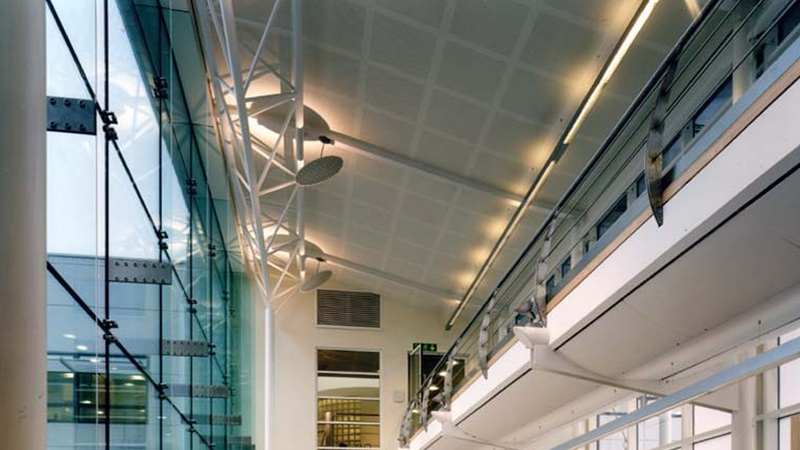 The project accommodated open plan and cellular offices, laboratories, and write-up areas with associated breakout rooms. As well as this, common areas including a reception, a 200-seat conference suite, meeting rooms, and staff refreshment facilities were included. 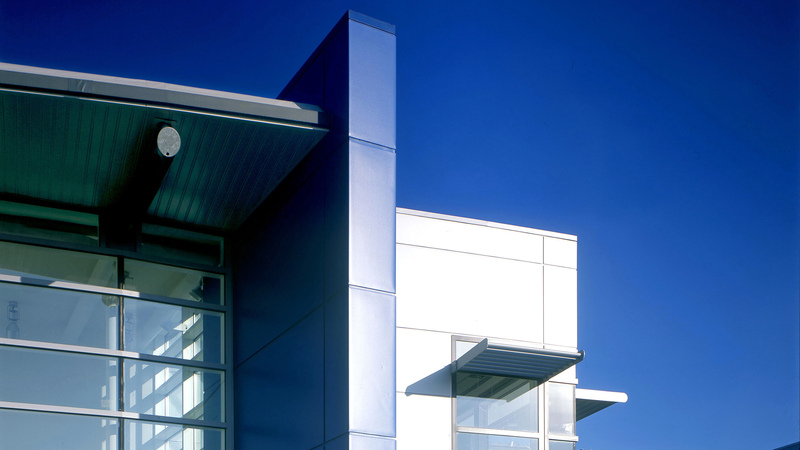 The project has a unique approach to long term flexibility insofar as the basic features of the building will readily accommodate both office and laboratory functions. An optimally dimensioned module has been provided that is flexible for the known and projected range of research functions. These modules have been integrated within a clearly defined service distribution framework and corresponding plant room modules. Interaction between departments is encouraged through an open plan design and the centralised positioning of catering and breakout facilities. Quiet rooms have been provided to enable concentrated study or meetings, within predominantly open plan laboratory write-up and office areas. Maximum visibility is provided between laboratory and office space. 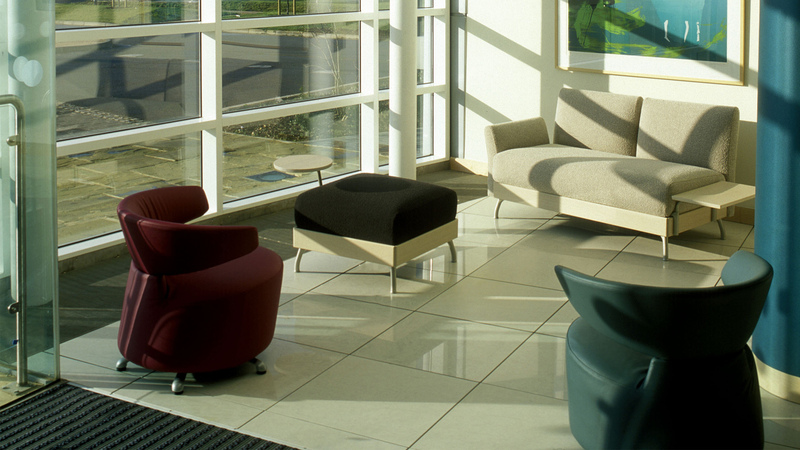 The company’s working methods were still in development and benefited from our knowledge of working trends and the use of new office furniture options to meet changing needs.